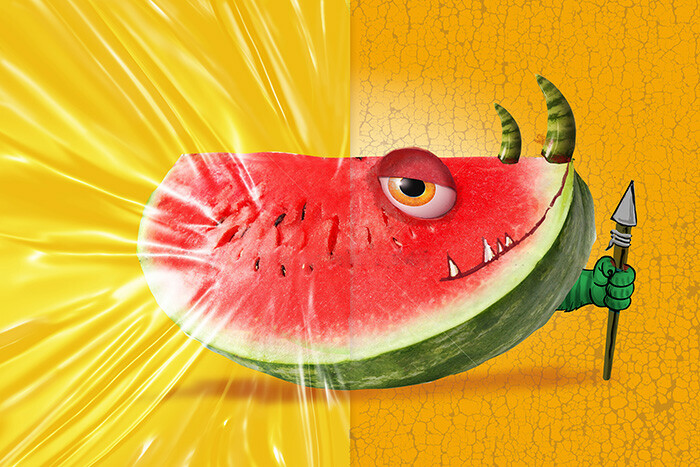 Hunter Watermelon ~ Save good food. From going bad. Character development and advertising image for Glad campaign. 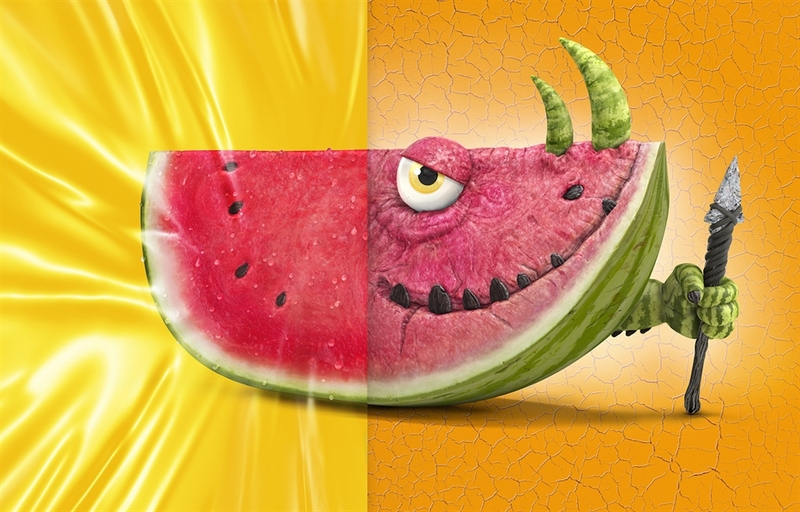 The challenge of this series was to show a fresh fruit or vegetable under the Glad wrap and the dried out, scary alternative without the Glad product. There was a long period of character and concept development to get to this final execution. We had early versions where the fruit/vegetables were cut on both sides, but it proved to be a little too gross because it was a character too. Along the way, we toned down some meaner characters, making them more mischievous and less aggressive. 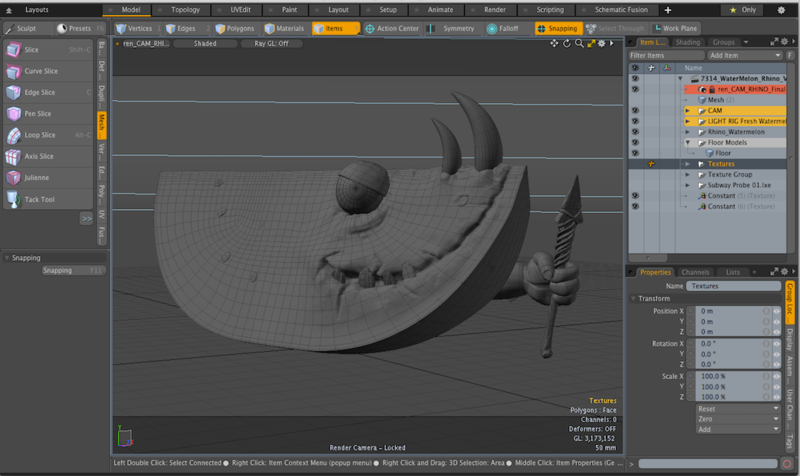 I created a the character directly in 3D, using the modeling and sculpting tools. My goal was to complete most of the image in 3D. About five percent of the work done was completed in post. Photoshop was required for minor retouching refinements, highlights, color, lighting and the cracked surface.